We are a leading Manufacturer of wood fired hot air generator, agro waste fired hot air generator, oil fired hot air generator, gas fired hot air generator, direct fired hot gas generator and coal fired hot air generator from Pune, India. 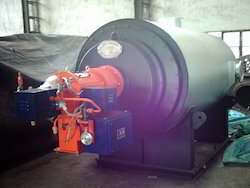 We have been dealing in the export and manufacture of Wood fired Hot Air Generator. The offered hot air generator is powered by wood fuels such as firewood, chips, sheets and pellets. Our offered hot air generator is capable of producing continuous supply of hot air, for the roasting and heating of edible spices such as coriander and dry fruits such as natural cashew. The offered hot air generator is very cost effective in rates. Our wood fired hot air generator has applications in various types of industries like chemical, pharmaceuticals, food processing, adhesives, automotive, textile etc. where hot air is required for drying or other indirect process heating purpose. 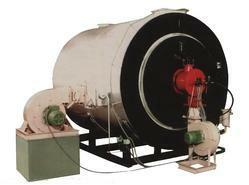 Our firm is a widely acclaimed exporter and manufacturer of Agro Waste fired Hot Air Generator. The offered hot air generator is fueled by the agro waste products. Our offered hot air generator utilizes the agro waste, as regular diesel fuel. The offered hot air generator is a modern class generator, which is based on the non-conventional fuelling procedures. Our offered generator makes use of the agricultural waste products, to power the engine. Our agro waste fired hot air generator has applications in various types of industries like chemical, pharmaceuticals, food processing, adhesives, automotive, textile etc. where hot air is required for drying or other indirect process heating purpose. We offer two types of Oil fired Hot Air Generator; indirect, non mixing type, oil fired hot air generator for applications which require clean, contamination free hot air & direct, mixing type, oil fired hot air generator for applications in which hot flue gas mixed with air can also be used. Our oil fired hot air generator has applications in various types of industries like chemical, pharmaceuticals, food processing, adhesives, automotive, textile etc. where hot air is required for drying or other indirect process heating purpose. We offer two types of Gas fired Hot Air Generator; indirect, non mixing type, gas fired hot air generator for applications which require clean, contamination free hot air & direct, mixing type, gas fired hot air generator for applications in which hot flue gas mixed with air can also be used. Our gas fired hot air generator has applications in various types of industries like chemical, pharmaceuticals, food processing, adhesives, automotive, textile etc. where hot air is required for drying or other indirect process heating purpose & LPG or Natural Gas is available in the installation region. We offer direct, mixing type, oil / gas fired hot gas generator for applications in which hot flue gas mixed with air can be used. Our hot gas generator has applications in various types of industries like chemical, automotive etc. where hot air is required for process heating purpose. We have been dealing in the export and manufacture of Coal fired Hot Air Generator. The offered generator is fueled by coal blocks. Our offered hot air generators are very efficient in generating hot air for the industrial purposes and usages. The offered generators are widely used in the hot air applications, which need hot air for roasting of spices and dry fruits. Our offered generators are known for uninterrupted functioning and operation, owing to the easy availability of coal. Our coal fired hot air generator has applications in various types of industries like chemical, pharmaceuticals, food processing, adhesives, automotive, textile etc. where hot air is required for drying or other indirect process heating purpose. Looking for Hot Air Generators ?